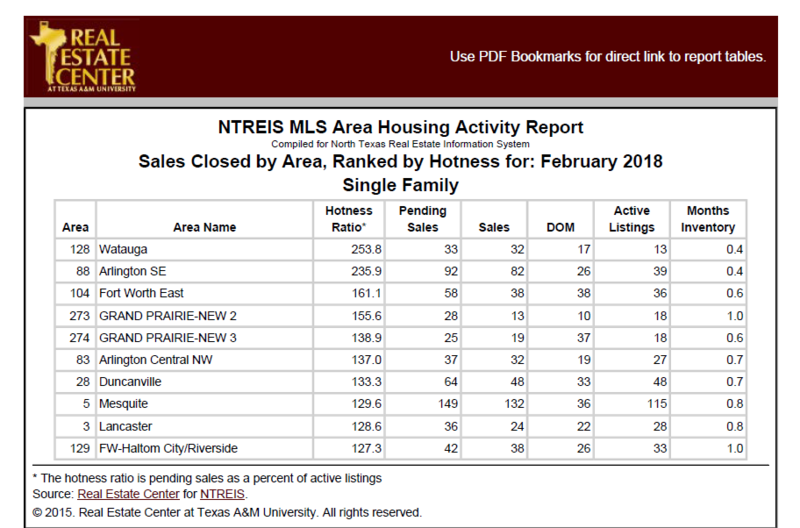 ​​NORTH TEXAS – North Texas Real Estate Information Systems (NTREIS) home sales are available for February 2018. ​Click here to view the entire February 2018 NTREIS MLS Area Housing Activity Report​​​. For the 'Hotness Ratio' see page 86.